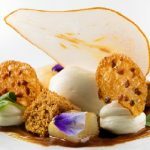 First of all, Vincenzo Guarino fell in love with the culinary art at the tender age of 14 and the idea of becoming a chef began to mature within him. Then he decides to embark on a path of specific studies. Indeed he received his diploma in 1998 at the State Professional Institute for hotel services and catering of Roccaraso (Aquila) in Italy. As a result, with his diploma in hand he begins to take part in internships. Indeed he went to popular locations such as Lausanne, Zurich, Naples and Milan. Also prestigious starred Chefs of national and International fame. Such as Fredy Girardet, André Jaeger and Davide Oldani. For example around Low- calories desserts, Panettone, Pandoro and liqueur Chocolates. As well as preparation of risottos or Finger food. 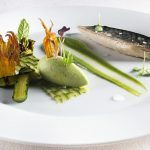 Moreover, during the early part of his career, as a Commis chef and eventually becoming a Junior Chef, he worked in several Michelin-starred restaurants. Both in Italy and abroad. Alongside the likes of Chef Gualtiero Marchesi in Capri, Peter Wiss in Gstaad and Nazzareno Menghini in Rome. As a result of these experiences, Vicenzo Guarino earns the title of Executive Chef at the Relais Chateaux & Bellevue Syrene in Sorrento. Due to his culinary skills, Vicenzo Guarino participates in several national competitions. For example the Gualtiero Marchesi Award (Milan 2003). Also, Alma Viva Award Speciale Barilla “The Golden Talent” (Colorno, 2007). As a conclusion, at the Chicco d’oro Award (Verona, 2008), he gets the first prize for the best risotto in the competition. In 2009, he obtained the first prestigious Michelin star. 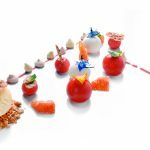 While working as Executive Chef at the restaurant “I Salotti”, within the Hotel “Patriarca” of Chiusi (Siena). Then the aforementioned recognition shall be reconfirmed in 2012. 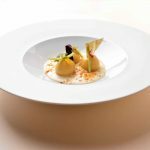 During his role of Executive Chef at the restaurant “L’Accanto”, within the “Grand Hotel Angiolieri of Vico Equense (Naples). Then he worked there until January 2016. After 6 years his return to Tuscany, at the Pievano restaurant (Spaltenna Castle). 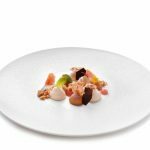 Most of all, in just 7 months as a Executive chef, Vincenzo Guarino obtained a Michelin Star there last November 2016. Since 2013 he has participated in various events both in Italy and abroad.? Like charitable events, sponsoring products or the opening of new premises. 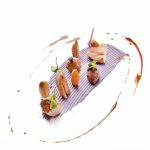 Especially the “Gastronomy week” in Moscow (2013), the “Italian Cuisine World Summit Dubai” at Dubai (2014 – 2015 – 2016), “Gastronomy week”in London (2015) and the “Italian Cuisine World Summit” in China Beijing (2016).